Only occasionally do books cross my path that I put on the “must-read” list for my children, but this week’s review book definitely falls into that category, although it will probably be a few years before I hand it to them. 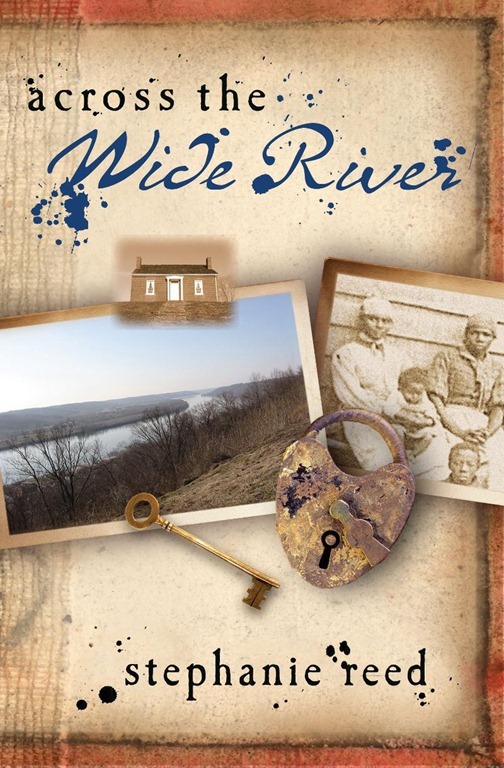 Across the Wide River by Stephanie Reed is a fictional story based on the lives of historical figures. Set in the mid-1850’s, the story opens on the life of Lowry Rankin as a boy. When young Lowry is around eleven years old, he discovers that his abolitionist minister father is a conductor on the Underground Railroad. Lowry and his siblings, as they come of age, are all drafted into the “family business,” often sacrificing sleep and their own meals to ensure the safety of runaway slaves. As time progresses and Lowry grows into a man, however, he begins to wrestle with his own place in the struggle against slavery. He battles against bitterness over all that his role in the Underground Railroad has taken from him, and he considers himself a failure who is incapable of making any true impact on the war against slavery. The Rankin family and others mentioned in the book are true, historical figures. While the specific events, and possibly the emotional and spiritual wrestlings of Lowry Rankin, are the imaginative creation of the author, Across the Wide River is a very clear portrait of the depths of struggle found in standing up for a cause, sacrificing, and carrying on even without knowing the end result of our actions. I highly recommend this book, not only as a study of how slavery and abolition affected daily life, but also as a challenge to our own willingness to surrender to God’s higher calling, regardless of the sacrifice.